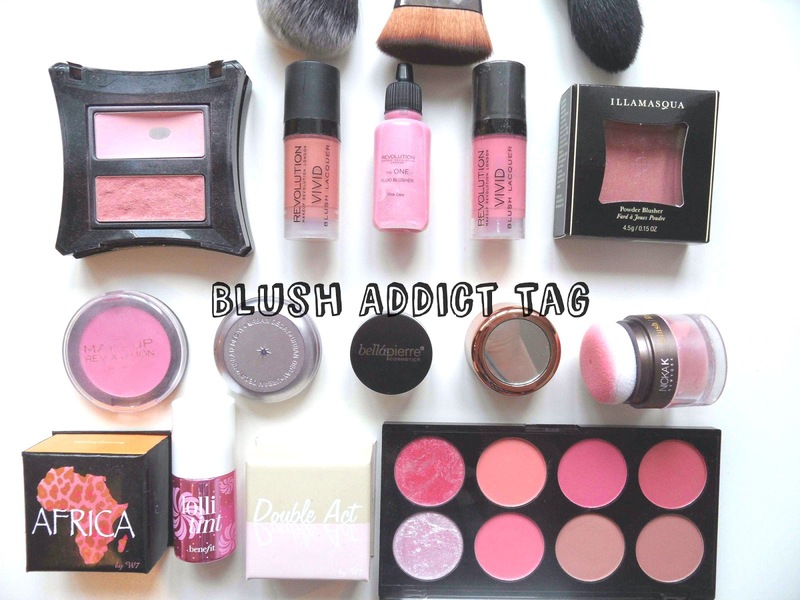 I'm never normally a "TAG" post kinda person but if there's one thing I love, it's a blush. So when one of my favourite bloggers Sarah in Wonderland hit publish on her post (here) I just knew I had to get some of that action....plus I've been super lazy recently so hey, here's a post!! I won't tag anyone at the end of this, 'cos y'know - if you wanna share yours, just go do it . Pressed, cream or loose blush? Pressed, totally. I'm not a fan of cream or liquid products. Yes, it can be said that pressed don't last quite as long but it's all about personal choice. I'm a fan of the MakeUp Revolution blush palette in Sugar & Spice (see here) - it has two pretty shimmery baked shades stuck on the end there but usually I'd stick to a matt blush. I find shimmer can take you two ways - teenage glitter explosion OR hey, here's my sparkly old lady face and I'd prefer to stay away from either. I'll have to pass on this one, although I have a few I don't like the idea of liquid/ cream blushes sinking into my pores - is that weird? MakeUp Revolution £1 single powder blush in WOW. I have the old round style packaging and it's the first MakeUp Revolution item I ever bought and it's my go-to blush for normal everyday make up. It's a very bright pink matte but I like to tell myself I can get away with the shade because I have very bright hair. For a £1 product, the staying powder is immense. I'll admit, I don't have a huge amount of high-end blush products, I've found the one for me and I stick with it, The Illamasqua - Katie: is just the perfect candy pink for my skin tone but I have my eye on a couple of the Clinique Cheek Pops that I may have to invest in soon. I love the Benefit box packaging such as their Hoola etc but I've never found a shade just right for me in their range. I own a few of the cheap W7 box blush/ bronzers that are very similar to the Benefit packaging but you can just feel the cheapness with the packaging on those. What's on your blush wish-list? Urban Decay Afterglow - Bittersweet is one I NEED to own and I blame it all on Heather from Porcelain Beauty and her stunning photos. Benefit - Hervana is a maybe but I'd need to play with it first to test out the combination of shades, I'm not too convinced it'll come out as bright as I like. Illamasqua - Katie, Seriously - Try it. Are you a blush addict? Can you recommend me some new brands to try? I bloody love Illamasqua blushers, you need Naked Rose and I need Katie! Loved your choices, you totally need a Clinique Cheek Pop in your life.